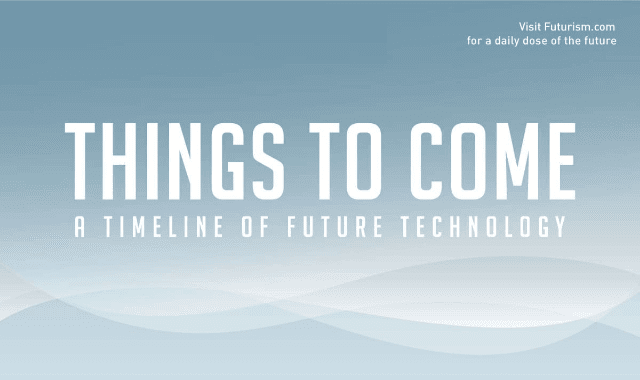 Things To Come: A Timeline Of Future Technology #Infographic ~ Visualistan '+g+"
"The times," someone once said, "they are a changin" - and nowhere is this truer than with technology. But any technological forecast of the future is a shaky sort of structure, at best-built on a quicksand foundation and liable to collapse at any time. With that caveat firmly in mind, we've assembled this speculative peek around the corner, to glimpse just a few of the many marvelous things to come.